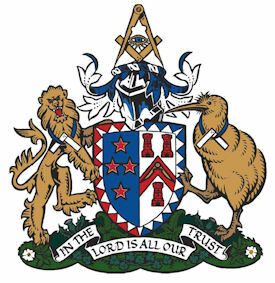 John is a Member of Lodge Otahuhu No.387, The South Auckland Sovereign Chapter No.95 of Princes Rose Croix and The Rangimarie Sovereign Council No.19. Actively involved in Masonic and non-Masonic Charitable trusts. A Business owner with a bias towards the construction Industry with patented designs in NZ, Australia and the USA associated with exterior cladding contribute to Johns day job. Married to Pam who works as a community caregiver with three Children Henry, Ursula and Sonja who are at various stages of Higher Education. In addition to family and masonic interests, personal fitness, reading, an eclectic taste in music, following sport from the couch, maintaining the house and gardens satisfies any available free time. Paul has his own transport company which he started in 1995 and lives with his partner Amanda and has a daughter Kate. He is interested in most sports and travel. 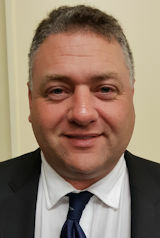 Alan was Initiated by his late Father in Maungakiekie Lodge No 373 in 1986 , he is a third generation Mason with both his Father and Grand Father receiving 50 Year Jewels and is very proud of a 137 year combined Family Membership. 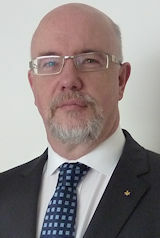 A very active Freemason, Alan is currently a member of The Franklin Lodge No 58, Auckland Maungakiekie Lodge No 87, William Fergusson Massey Royal Arch Chapter No 61 and The Royal Order of Scotland. 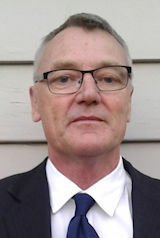 Alan recently accepted the position of Sales Manager for an Electrical Importing Company based in Onehunga and travels throughout the North Island, putting behind him a successful 30 plus year career in the Communication Industry to take on this exciting Challenge. Married to Teresa they have three children Kayla (21) Josef (17) and Charlie (15) all still a home. Alan and Teresa will soon be celebrating their 27th Wedding Anniversary in early November. 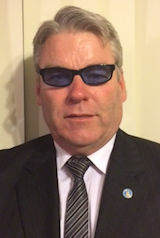 John is a Member of Lodge Tironui No.400, The Manurewa Lodge No.222, The Unanimity Royal Arch Chapter No.106, The South Auckland Knights Templary No.26 and The Alexandra Preceptory No.44. John joined the Royal New Zealand Navy in 1973, followed by employment with an Electrical Contracting Company for 11 years. He then changed focus and worked within the Electrical Wholesaling industry in a Corporate capacity for another 19 years. In 2012 John joined and became a Shareholder of a further Electrical Wholesaling Company. He holds a Diploma in Materials Management. He has been married to Tanya for 38 years and have 3 wonderful Children, 2 Grandchildren, with 2 more due in November this year. John’s interests are Music, Motor Racing, especially V8 Touring Cars (Bathurst etc), Golf and Swimming.